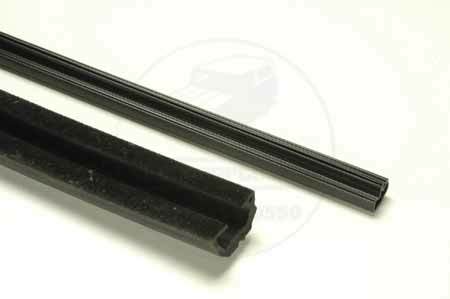 Door weatherstripping/glass setting channel for 1955-1957 chevrolet 2 door hardtop. Door Weatherstripping/Glass Setting Channel For 1955-1957 Chevrolet 2 Door Hardtop. Weatherstripping Comes as a Pair.